Prime Minister Lays Wreath At Grave Of Last Man Killed During First World War - But Who Was He? 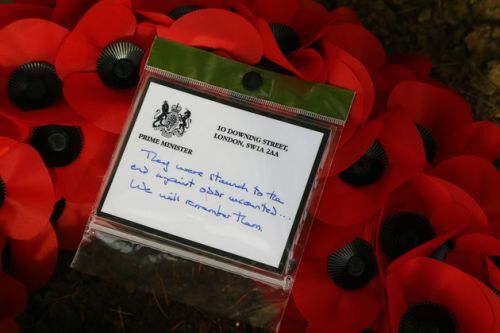 Theresa May started her day at the St Symphorien Military Cemetery in Mons, laying wreaths at the graves of the first and last British soldiers to be killed during the war. Theresa May will lead the nation in commemorating the Armistice centenary today as she lays wreaths in Belgium and France. Theresa May today leads the nation in commemorating the Armistice centenary as she laid a wreath to the first and last British soldier killed in the First World War.